Vasaloppet’s Winter Week takes place in late February and early March. Here you can read about what is happening in Mora and Sälen during the Winter Week 2019. At the classic finish line in Mora you can meet participants and spectators and, above all, welcome approximately 60,000 skiers as they cross the finish line. In connection with the finish line there is a large meeting place. 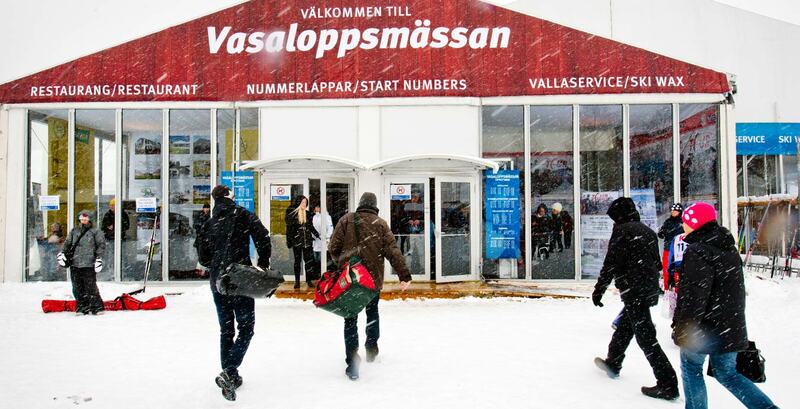 There you will find the Vasaloppet Trade Fair, a huge heated tent with start number distribution, race office, Stadium sports store, waxing service, restaurant and thirty or so exciting exhibitors. Warm meals are served from 11:00. On days with entertainment warm meals are served until closing. Wraps, baguettes, snacks and drinks are served during all opening hours. Menu: The restaurant cooperates with local producers. In the Food Court you will find a buffet of pasta, American barbecue and vegetarian dishes. At the start in Sälen you can meet participants and spectators before the race. This is the starting place for over 45,000 skiers. In connection with the start there is a large meeting place. Here you will find a large heated tent with start number distribution, competition office, Stadium sports store, waxing service and a handful of exhibitors. There is also a café serving goulash soup and lasagna. For a complete programme, see our calendar.